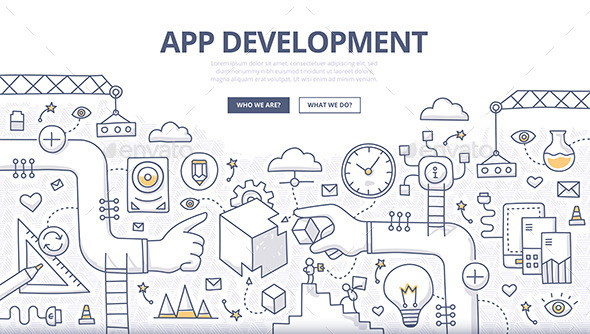 Doodle design style concept of mobile application development, coding, creating new digital product, managing the process of app development. Linear style illustration for web banners, hero images, printed materials Download includes. EPS 10 (100% resizable); JPG (high resolution); AI (with live text) Fonts used. Open Sans Regular Open Sans Bold https://www.google.com/fonts/specimen/Open+Sans Please rate if you like. I need your stars!